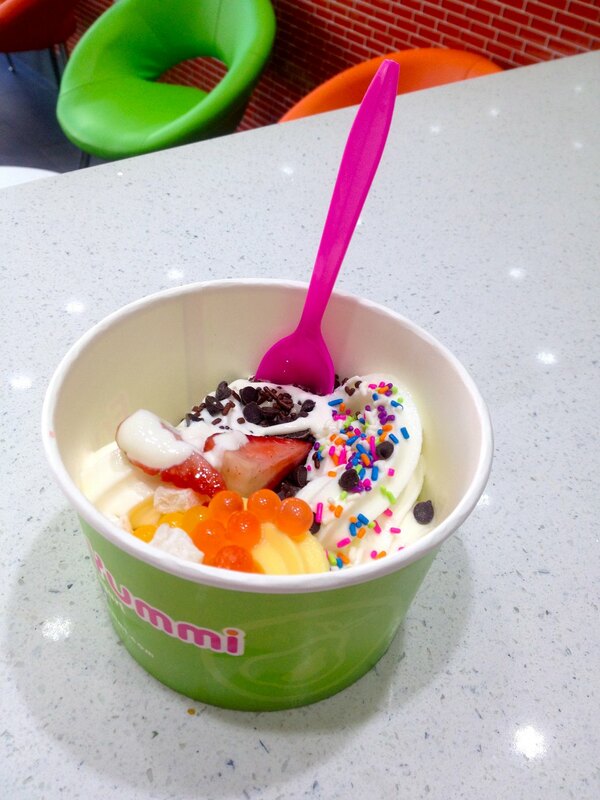 Warm weather is upon us and that means one thing: frozen yogurt cravings. A new self-serve froyo shop called Fruitti Yummi (just go with it) opened a brand spanking new location right off the Knickerbocker M stop. 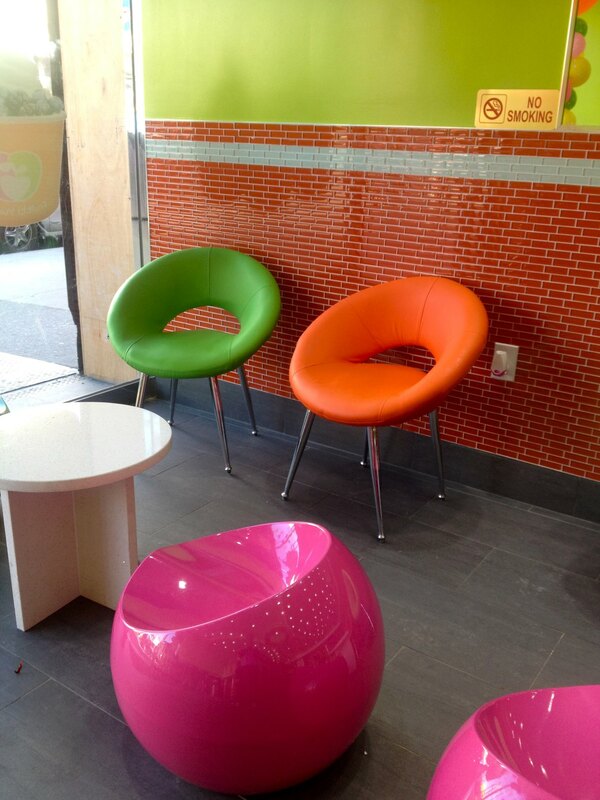 It's a pink-and-green colorgasm, Taylor-Swift on the radio type of place that serves up a fine froyo. 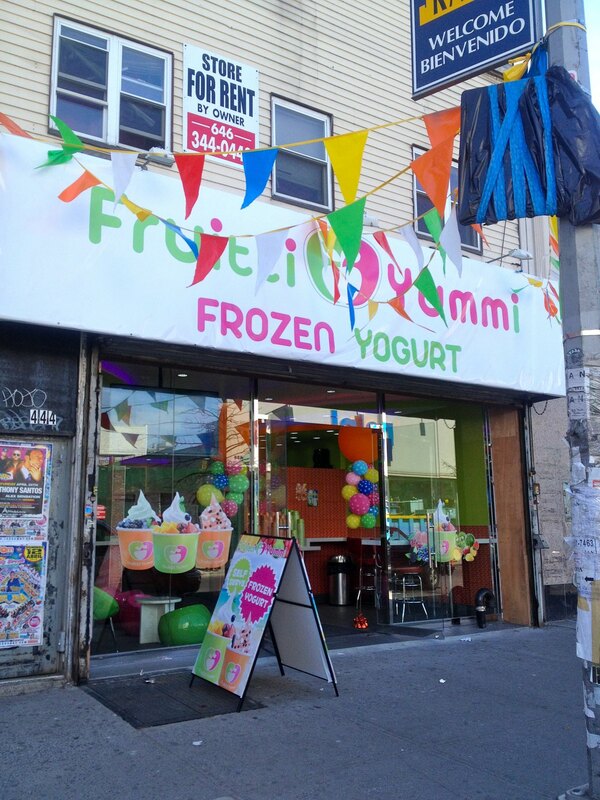 This is the second Fruitti Yummi to open in the Bushwick area. There's also one in Ridgewood on 57-51 Myrtle Ave, off of Centre Street that opened in October 2012. The only other location listed on its website is in Ardmore, Pennsylvania. 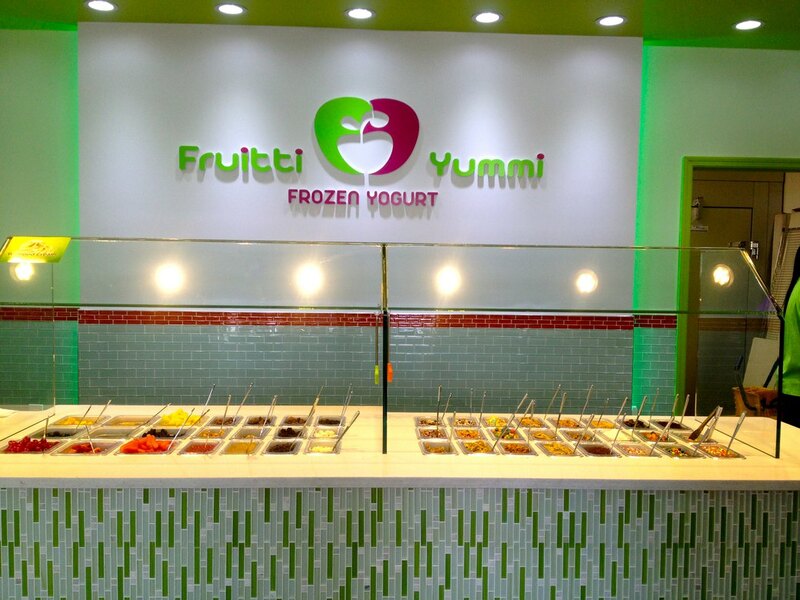 While it may not rival the variety at 16 Handles or Yogurtland, Fruitti Yummi does fine renditions of the usual flavors like cookies and cream, strawberry, and tart. My pick is the Sweet Coconut - YUM. Inside the (very) colorful shop, you'll find these flavors, waffle cups for 79 cents, and plenty of toppings like brownie bits and fresh fruit. Grab a cup, fill it up, and take it to-go. With Katy Perry and Fox News on repeat, you might not have the mental capacity to stay there for long. At 49 cents an ounce, it's a little pricey but worth it considering there is pretty much NO OTHER frozen yogurt in Bushwick. I'll take mine with four flavors and mochi, thank you very much.